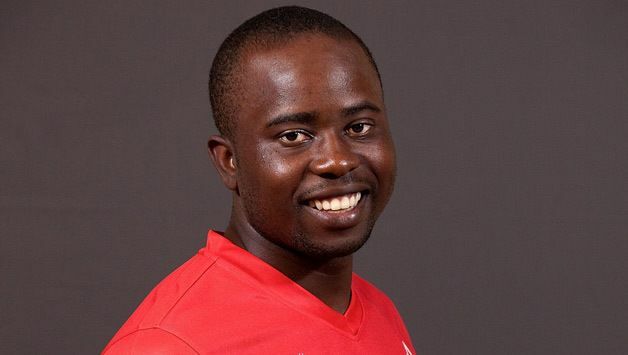 Prosper Utseya (born 26 March 1985 in Harare, Zimbabwe) is a Zimbabwean cricketer. He was former captain of Zimbabwe from 2006 to 2010. He bowls right-arm off break and is a useful right-hand batsman. Rising from the ranks of township cricket in Harare's Highfield suburb, he attended Churchill School (the cradle of many black Zimbabwean players), thanks to Zimbabwe Cricket Union scholarships. He uses Crown King Sport cricket gear. He was a promising talent at school level and made his first-class debut as opener for Mashonaland A at the age of 15. He scored a fifty in a tight situation in just his second Logan Cup match against Manicaland a day before his 16th birthday and soon moved into the Under-19 and Zimbabwe A sides with some notable bowling performances along the way. While his initial place in the national team owed much to the withdrawal of several white players after Heath Streak's dismissal from captaincy, Utseya has more than earned his place since. In 2004, he was moved to Manicaland to strengthen the provincial side there, and was selected for the CFX Academy. He took his first first-class five-wicket haul with figure of 5/32 against Manicaland in October of that year. He continued to hold a place in a weakened national side and took up the captaincy from Terry Duffin in 2006. Utseya's bowling during the tour to West Indies in May 2006 where his flight and spin belied his lack of experience and years. He was consistently able to stem the flow of runs in the middle overs, and he provided two of the series highlights and one when he comprehensively beat Brian Lara with successive deliveries in the first match in Trinidad and the other his remarkable diving, juggling boundary catch in the second. 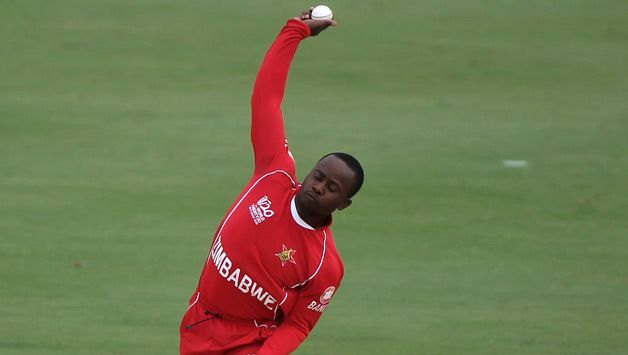 But he struggles to take wickets at international level, Utseya is a force to be reckoned with in Zimbabwean domestic cricket. His spin-bowling partnership with Timycen Maruma has resulted in a series of domestic titles, and in 2008-09 his ten-wicket haul helped Easterns clinch a thrilling one-wicket victory in a low-scoring contest against Northerns at Alexandra Sports Club in Harare that secured the Logan Cup. He is the first and joint world record holder for conceding the least number of runs (6 runs) in a T20 International after bowling the complete quota of overs (4 overs is the maximum quota in a T20 match). Utseya enjoyed a steady, if unspectacular, domestic season in 2009-10, though his franchise, Mountaineers dominated the first-class scene. Utseya tendered his resignation as national captain after the side's disappointing performance at the T20 World Cup in May 2010 saying that he was stepping down in the interest of the team's future development. He led Zimbabwe in 67 one-day internationals, with 20 victories, and all 10 of the Twenty20 internationals the team has played. In August 2014, Utseya reported for a suspect bowling action following the third ODI against South Africa in Bulawayo. Utseya was the fourth offspinner to have been reported for a suspect action over the last few months others are Sachithra Senanayake, Kane Williamson and Saeed Ajmal. He was ranked 15th in the ICC ODI Bowling Rankings in September 2006. He has a reputation for being an extremely parsimonious bowler, albeit with less wicket taking prowess. In a Cricinfo article from August 2006, he had the lowest economy rate (3.84) amongst all spinners in the history of ODI cricket. In comparison, the economy rates for Muttiah Muralitharan and Harbhajan Singh at the same time were 3.85 and 4.11 respectively. 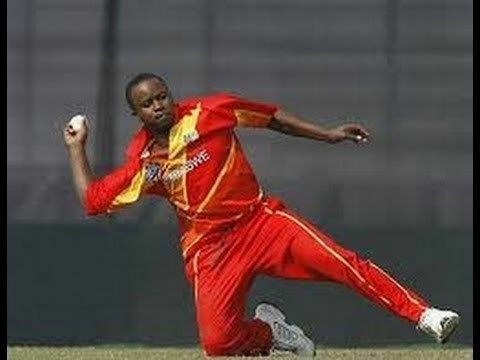 Utseya claims that he became a victim of racism during the 2015 ICC Cricket World Cup, and slammed allegations against former Zimbabwe cricketer Alistair Campbell, managing director of Zimbabwe Cricket, over the appointment of an "all-white" coaching staff and administration. He claimed that Campbell had "personal issues" against him, and was thus not included in the starting XI in any of the world cup games, despite being in the squad.